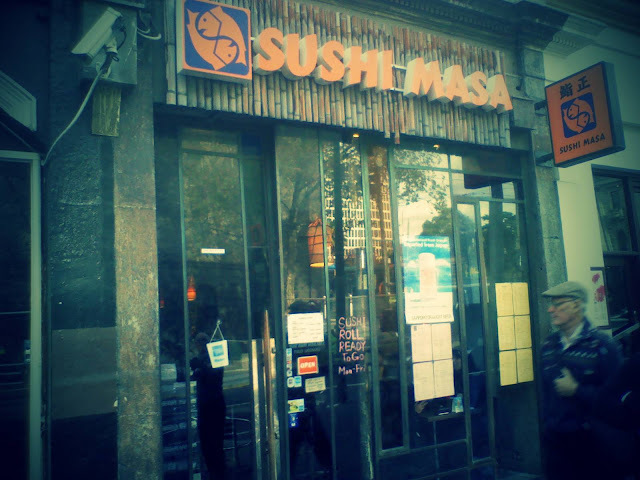 Sushi Masa is tucked away at the top of Bourke street near Spring and Parliament, I'd wandered past many times, before checking it out on Urbanspoon, where it seemed to get good reviews. 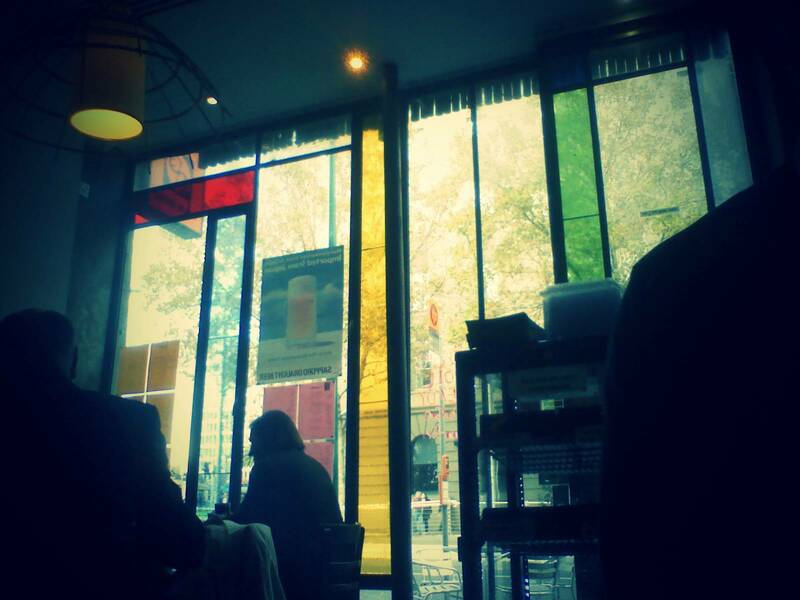 Inside it combines a long bar with stools with quite a few tables, ranging from the small to slightly bigger ones! We were sat near the door and front windows which had an interesting 'stained glass' design when viewed from the inside. The lunch menu is varied, several people came in for take away sushi while we were there too. Brendan's accompaniments of a small salad which had a tangy dressing and some miso soup arrived before a while before the rest of the food. His main dish was "Oyako Don (親子丼), chicken pieces, onion and egg cooked in sauce served on rice" and it seemed to go down well. "The dish arrived promptly from friendly and efficient staff. 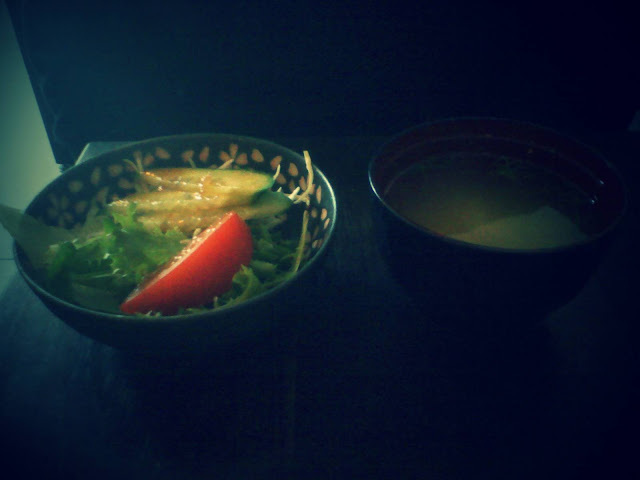 Side dishes included a small bowl of soup and a salad with a tangy but not overpowering dressing. 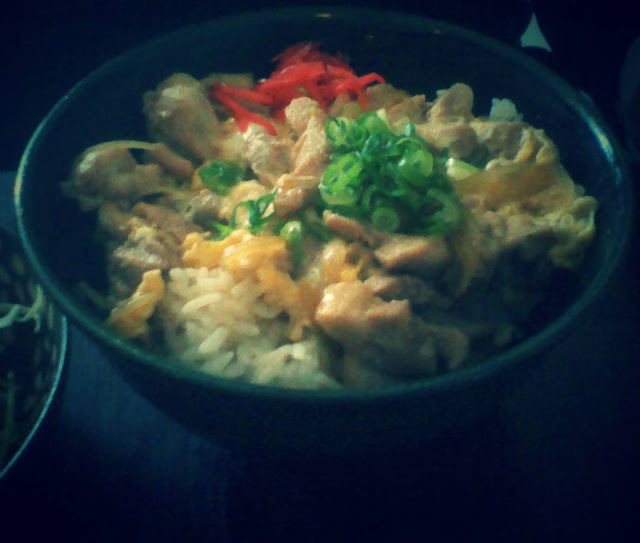 The main dish consisted of chicken and egg served with rice and was delicious. Especially impressed that the chicken pieces were gristle-free. Waitresses were kind enough to quickly identify the uncoordinated and offer forks to replace the chopsticks without being asked." I went for the Tanuki Udon たぬきうどん, deep fried flour flakes, a fish cake slice, and spinach with udon noodles in soup. 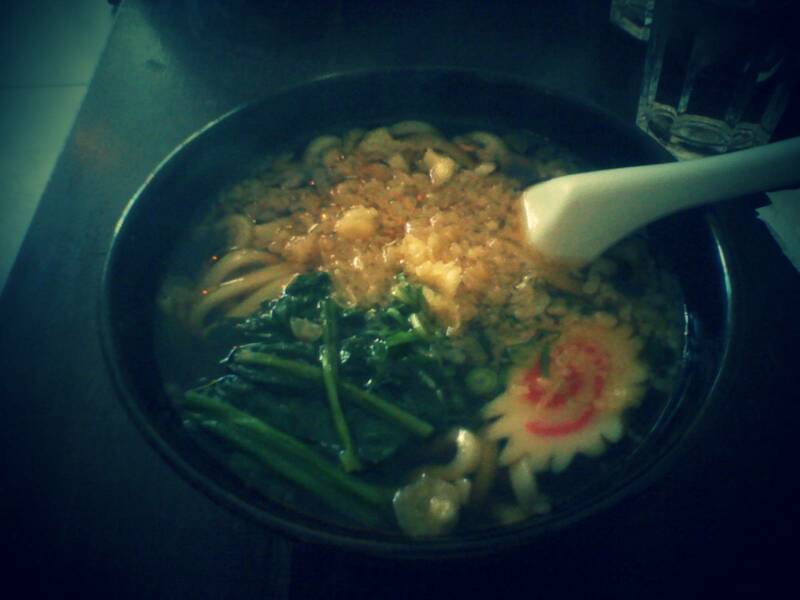 The broth was light and tasty, the noodles thick and well cooked and toppings did the job. The service was efficient and friendly, the bill came to $24.